RoomForWork | A Potential Anti-Cancer Therapy? 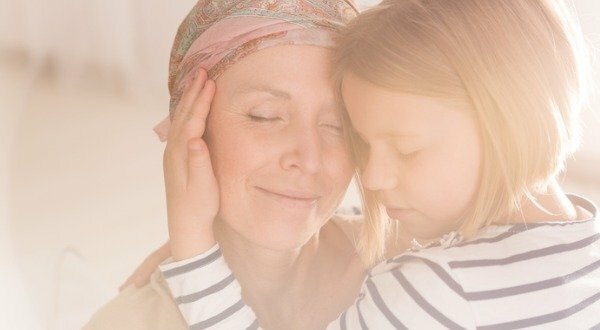 GcMAF: A Potential Anti-Cancer Therapy? GcMAF plays an important role in activating macrophages. Macrophages (from the Greek for “big eaters”) are white blood cells that literally swallow and digest cellular debris, foreign substances, bacteria, cancer cells, and anything else that does not have the “right” proteins to identify it as a healthy cell belonging to the body. An individual’s health is greatly influenced by the endocannabinoid system and its interaction with the immune system. The endocannabinoid system helps regulate homeostatic processes and is found in organs, glands, and immune cells located everywhere in the body. Individuals with autism have been reported to have altered endocannabinoid pathways and disrupted macrophage defenses. This problem leads to altered immune functioning. Alpha-N-acetylgalactosaminidase or nagalase is an enzyme found in increased levels in people with autoimmune-related complications. Elevated levels of nagalase is associated with an increased risk for lupus, autism spectrum disorders, vital infections such as HIV and AIDS, and many types of cancer. Up to 50% of monocytes (a type of white blood cell) and macrophages are concentrated in the spleen. It is observed that blood flow increases to the spleen and notable factors are found to stimulate the immune system following GcMAF treatment. Colostrum is a form of first milk produced in mammals (including humans) that contains high levels of immunoglobulins designed to help build the newborn immune system. 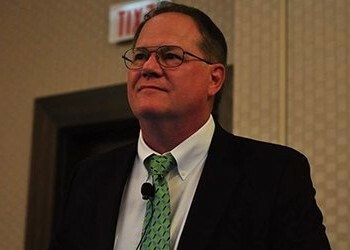 Specific types of bovine colostrum derivatives have been shown to be GcMAF activators. Colostrum has been shown in studies to activate GcMAF in individuals with serious infections and fatigue. One special type of yogurt is now being marketed for its benefits on activating GcMAF. This yogurt is called Bravo Super Probiotic Yogurt and it’s not available in grocery stores so it must be ordered online and prepared at home. Individuals taking GcMAF are encouraged to use oleic acid in the form of olive oil and avocados along with supplementing with high doses of vitamin D3. Drinking a minimum of 2 liters of water and herbal teas each day is also recommended. You should also consume a low carbohydrate, ketogenic style diet high in good fats and key proteins shown to slow the development of cancer. Remove all artificial sweeteners from your diet. Sugar substitutes such as aspartame suppress the immune system. Opt for plant-based sweeteners such as Stevia or Xylitol made from hardwood(not corn). Exercise optimizes health by promoting factors which reduce your risk of cancer. For instance, exercise limits the flow of cortisol through your body which causes stress and anxiety. Specifically, increased cortisol levels in men are associated with a decline in testosterone levels and are a risk factor for heart complications. Globulin component Macrophage Activating Factor or GcMAF is an endogenous glycosylated vitamin D binding regulatory protein present within the immune system. 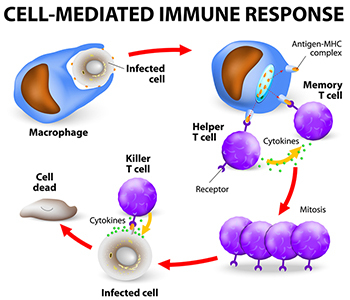 GcMAF activation of macrophages is key for a healthy immune response. Vitamin D has essential responsibilities in the human body and helps to defend the immune system from chronic disease. GcMAF improves the endocannabinoid system, which helps regulate homeostatic processes. 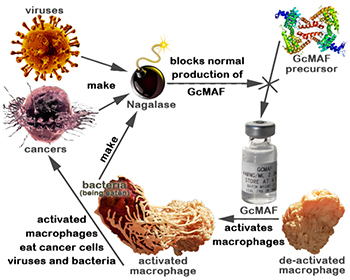 Macrophages activated by GcMAF destroy tumor cells.